One of the biggest dilemmas modern campers are faced with is whether they should opt for a swag or a tent for their weekend trips. Personally, I’ve always been a swag guy, as I didn’t like the idea of spending a ton of time setting up a tent. However, nowadays, I also own a rooftop tent, and to be honest, I’m using it almost as much as I use my swag. Being able to test and use both has made me acknowledge their distinct advantages and disadvantages, and what may suit one person, might not suit the next one. With that said, let’s take a look at the pros and cons of camping swags and tents so that you can get a better idea of what you need. What I like most about swags is their “just put it in the trunk and hit the road” appeal and the fact that they’re extremely easy to set up and pack. 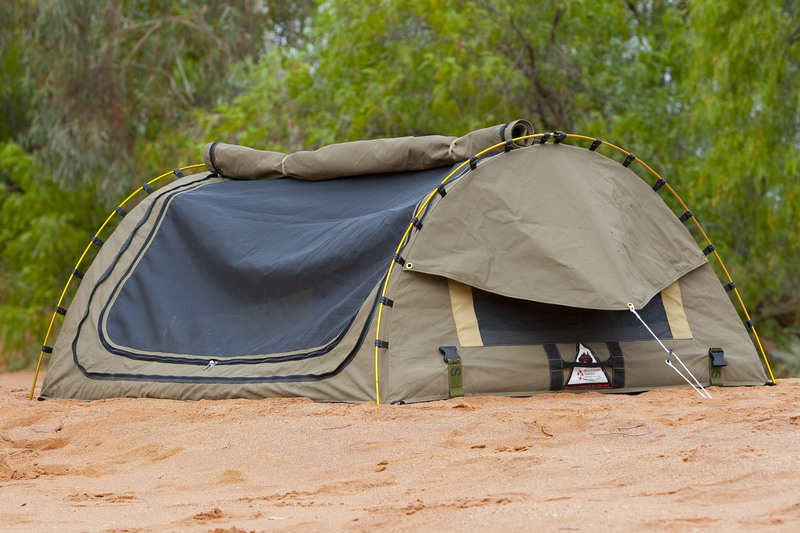 You can find camping swags Australia wide that don’t take more than a few seconds to set up. They’re so easy to set up that you can probably do it in pitch black darkness while completely inebriated. Further, most camping swags Australia outdoor enthusiasts opt for feature a foam mattress, meaning you don’t have to bring any extra bedding like a sleeping bag. 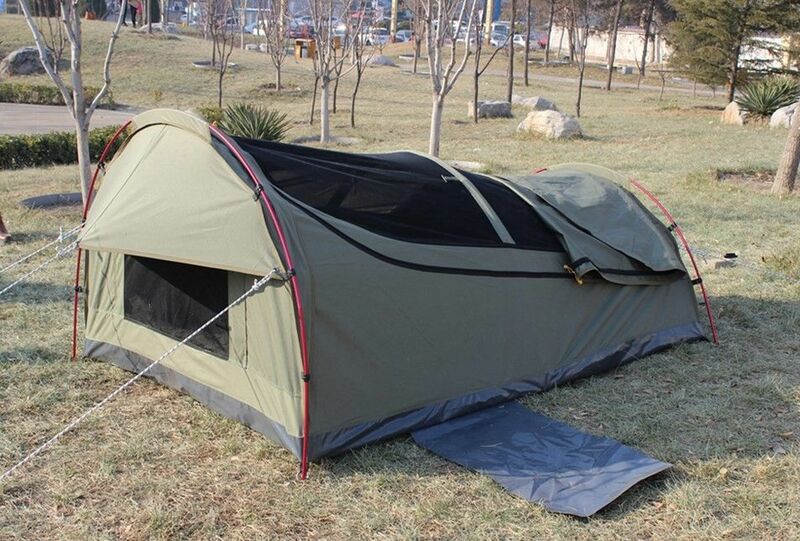 Swags are warmer and cooler than tents, as they feature great ventilation properties. They are also generally smaller, which can be both an advantage or a disadvantage – depending on how many people you typically go camping with. If you’re alone or in a couple, a swag will probably be big enough to accommodate both of you, and its relatively small size can be seen as an advantage, as you can fit it in smaller space. However, if you camp in larger groups, and have a lot of other gear and equipment, then a swag is probably not the best choice for you. As far as tents go, there’s a wide range of different types, all of which are of different sizes, shapes, and are packed with a variety of features. With that said, you have more choice when buying tents, and the most common types of tents include conventional 2, 4, 8-men tents and rooftop tents. Tents are classified according to the seasons they’re meant for. You’ll come across one season tents, two season tents and four seasons tents. For the Australian weather, you’ll probably need a one or two season tent, as it doesn’t get overly cold over here, and these models are lightweight and offer great ventilation properties. However, setting up a tent can take quite some time, depending on its size. Larger tents that feature poles can take as long as a few hours to set up. Additionally, they can take up a lot of space in your trunk or roof rack.